Driving is one of the most hazardous activities undertaken by workers. Everyday driving skills and experience are valuable assets, however, all people driving for work need regular, targeted training to reduce the likelihood of accidents and injury. A standard driving licence forms a good basis for normal driving. However, employees who are expected to drive off road, use trailers, winches or recover themselves or others from unintentional situations, require additional specialist training. Without this training safety and effectiveness are compromised. 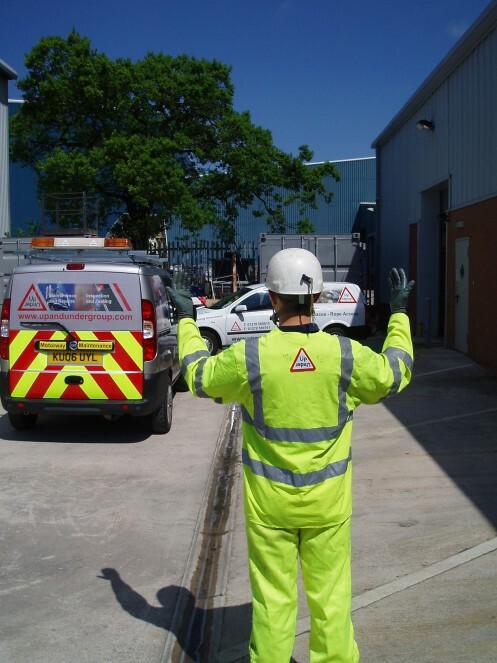 We provide a range of courses to help you and your staff work towards making every day a safe day. The courses will help you to promote a culture where confident people with positive attitudes exercising safe practices is the norm. Reversing Assistant (banksman) The course is aimed at people operating vehicles where reversing or restricted manoeuvring may be necessary. Arrive Alive! This course acts as a reminder, to people who have to drive as part of their normal work activity, of the hazards associated with driving. Intro to Quad Bike Use Candidates should be able to operate the vehicle in a safe manner on site. It provides a sound introduction to these useful vehicles that can be particularly hazardous if used incorrectly. Off Road Recovery Candidates will have practical experience on the course of recovering off road vehicles (4×4 and trailers) from a variety of situations. Off Road Trailer Handling Candidates will have practical experience in handling issues and when things go wrong. Vehicle Winch Operations Candidates will have practical experience in different types of equipment understanding limitation and safe use. Valuable assets in the form of people and equipment are placed in hazard rich environments daily by inexperience. This group of courses will provide employees with the knowledge and skills to reduce the risk of incidents occurring. These courses are all available at our sites in Cheshire or at your premises – subject to suitable facilities being available. We can also provide team building and corporate entertainment activities, please call for details.